NBC Today Show just did a story on radon. Radon is the second leading cause of lung cancer in this country behind smoking. If you don't smoke, it is your leading cause of lung cancer. It is a very serious problem that, according to the epa, causes the deaths of more than 20,000 people every year. Radon is a naturally occurring gas that is produced from decaying uranium in the ground. According to the state's own website, southeastern Wisconsin is a hot-bed for radon with estimates of between 10% and 40% of SE Wisconsin homes having indoor radon levels above the acceptable limit. Channel 12, WISN TV Milwaukee did a news story on the deadly effects of radon, earlier this year. Click here to view this news story. At Cornerstone, we have been trained in the testing of radon through Environmental Solutions Association, the nation's premier training organization of indoor air quality. We are a member of NEHA or the National Environmental Health Association, which is the leading certification program in North America for radon professionals. NEHA membership along with the National Radon Proficiency Program or NRPP is your assurance of quality because we test our machines according to their strict quality control standards to make sure your results are accurate. We use the Sun-Nuclear Model 1028 continuous radon monitor, a state of the art, modern version of the industry gold standard Model 1027 which has been in use since 1986. The radon test itself will be in a closed building condition, meaning that all windows and doors must be kept closed (except when entering or exiting) for 12 hours prior to the test through the 48 hours of the test. The Model 1028 will take a radon reading every hour for a minimum of 48 hours. A graphic printout will then be done onsite, giving your results immediately, no waiting for a lab to test and mail your test results. Based on the results, you then decide how you want to proceed. At Cornerstone all we do is testing. We have no financial motive in a positive test; we are not trying to sell you any equipment. We are committed to testing for the most accurate results possible, and that is it. Please visit the Wisconsin Department of Health Services radon site at: http://dhs.wi.gov/DPH_BEH/RadonProt/index.htm or visit the US Government EPA's Home Buyer's and Seller's Guide to Radon at: http://www.epa.gov/radon/pdfs/hmbuygud.pdf or the Consumer's Guide To Radon Reduction at:http://www.epa.gov/radon/pdfs/consguid.pdf for more info. Lung cancer kills thousands of Americans every year. Smoking, radon, and second-hand smoke are the leading causes of lung cancer. Although lung cancer can be treated, the survival rate is one of the lowest for those with cancer. From the time of diagnosis, between 11 and 15% of those afflicted will live beyond five years. In many cases, lung cancer can be prevented -- this is especially true for radon. Smoking is the leading cause of lung cancer. Smoking causes an estimated 160,000 cancer deaths in the U.S. every year, according to 2008 statistics from the American Cancer Society. And the rate among women is rising. In 1964, Dr. Luther L. Terry, then U.S. Surgeon General, issued the first warning regarding the link between smoking and lung cancer. Lung cancer now surpasses breast cancer as the Number One cause of cancer deaths among women. A smoker who is also exposed to radon has a much higher risk of lung cancer. Second-hand smoke is the third leading cause of lung cancer and is responsible for an estimated 3,000 lung cancer deaths every year. Smoking affects non-smokers by exposing them to second-hand smoke. Exposure to second-hand smoke can have serious consequences for children�s health, including asthma attacks. It can also affect the respiratory tract and make them vulnerable to bronchitis and pneumonia, etc. It may lead also to ear infections. Two studies based on research conducted in North America and in Europe show definitive evidence of an association between residential radon exposure and lung cancer. Both studies combined data from several residential studies. They went a step beyond earlier findings and confirmed the radon health risks predicted by occupational studies of underground miners who breathed radon for years. Early in the debate about radon-related risks, some researchers questioned whether occupational studies could be used to calculate risks from exposure to radon in the home environment. The EPA estimates that radon is responsible for about 20,000 lung cancer deaths each year in the United States. Exposure to radon is the second leading cause of lung cancer after smoking. Radon is an odorless, tasteless and invisible gas produced by the decay of naturally occurring uranium in soil and groundwater. Radon is a form of ionizing radiation and a proven carcinogen. Lung cancer is the only known effect on human health from exposure to airborne radon. Thus far, there is no conclusive evidence that children are at greater risk of lung cancer than adults. Radon in air is ubiquitous. It is found in outdoor air and in the indoor air of buildings of all kinds. The EPA recommends that the problem be addressed if a home's radon level is 4 pCi/L (picocuries per liter) or more. Because there is no known safe level of exposure to radon, the EPA also recommends that the problem be addressed for homes with radon levels between 2 pCi/L and 4 pCi/L. The average radon concentration in the indoor air of the average American home is about 1.3 pCi/L. The EPA bases its estimate of 20,000 radon-related lung cancers a year on this number. The average concentration of radon in outdoor air is 0.4 pCi/L, or one-tenth of the EPA�s recommended 4 pCi/L action level. For smokers, the risk of lung cancer is significant due to the synergistic effects of radon and smoking. For this at-risk population, about 62 people in a 1,000 will die of lung cancer, compared to about seven people in a 1,000 who have never smoked. Put another way, a person who has never smoked and is exposed to 1.3 pCi/L has a 2-in-1,000 chance of dying from lung cancer, while a smoker has a 20-in-1,000 chance. The risk to smokers compared to those who have never smoked is six times greater. The radon health risk is underscored by the fact that, in 1988, the United States Congress added Title III on Indoor Radon Abatement to the Toxic Substances Control Act. It codified and funded the EPA�s then-fledgling radon program. That same year, the Surgeon General issued a warning about radon, urging Americans to test their homes and to reduce the radon level, when necessary. Unfortunately, many Americans presume that because the action level is 4 pCi/L, a radon level of less than that is considered safe. This perception is all too common in the residential real estate market. In managing any risk, we should be concerned with the greatest risk. For most Americans, their greatest exposure to radon is inside their homes, especially in rooms that are below grade (such as basements), as well as rooms that are in contact with the ground, and the rooms directly above them. How does radon induce cancer? 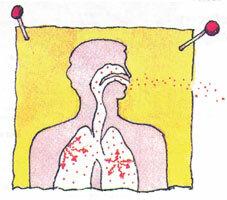 If inhaled, radon decay products (Polonium-218 and Polonium-214, solid form), unattached or attached to the surface of aerosols, dusts and smoke particles become deeply lodged in the lungs where they can radiate and penetrate the cells of mucous membranes, bronchi, and other pulmonary tissues. The ionizing radiation energy affecting the bronchial epithelial cells is believed to initiate the process of carcinogenesis. Although radon-related lung cancers are mainly seen in the upper airways, radon increases the incidence of all histological types of lung cancer, including small-cell carcinoma, Aden carcinoma, and squamous cell carcinoma. Lung cancer due to inhalation of radon decay products constitutes the only known risk associated with radon. In studies done on miners, variables such as age, duration of exposure, time since initiation of exposure, and especially the use of tobacco have been found to influence individual risk. In fact, the use of tobacco multiplies the risk of radon-induced lung cancer enormously. More is known about the health risk of radon exposure to humans than about most other human carcinogens. This knowledge is based on extensive epidemiological studies of thousands of underground miners, carried out over more than 50 years worldwide, including on miners in the United States and Canada. In addition to the data on miners, experimental exposures on laboratory animals confirm that radon and its decay products can cause lung cancer. Research on lung cancer mortality in miners exposed to radon progeny is substantial and consistent. Studies of thousands of miners, some with follow-up periods of 30 years and more, have been conducted in metal, fluorspar, shale, and uranium mines in the United States, Canada, Australia, China and Europe. These studies have consistently shown an increase in the occurrence of lung cancer with exposure to radon decay products, despite differences in study populations and methodologies. arsenic, chromium, nickel, and ore dust. Animal experiments conducted by the United States Department of Energy's Office of Energy Research, as well as those conducted in France, have confirmed the carcinogenicity of radon, and have provided insight into the nature of the exposure-response relationship, as well as the modifying effects of the exposure rates. carcinomas, pulmonary fibrosis, emphysema, and a shortening of lifespan. exposure coupled with a decrease in rate of exposure. exposures as low as 20 WLM. incidence of lung tumors above that produced by radon progeny exposures alone. lifetime lung-cancer risk coefficients observed in human studies. in homes. The risk decreased in proportion to the decrease in exposure to radon progeny. In 1988, a panel of experts convened by the World Health Organization's International Agency for Research on Cancer unanimously agreed that there is sufficient evidence to conclude that radon causes cancer in humans and in laboratory animals. 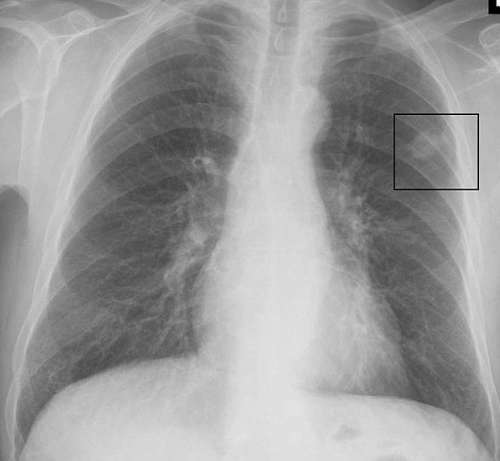 Scientific committees assembled by the National Academy of Sciences (NAS), the International Commission on Radiological Protection (ICRP), and the National Council on Radiation Protection and Measurement (NCRP) also have reviewed the available data and agreed that radon exposure causes human lung cancer. Recognizing that radon is a significant public health risk, scientific and professional organizations, such as the American Medical Association, the American Lung Association, and the National Medical Association, have developed programs to reduce the health risks of radon. The National Institute for Occupational Safety and Health (NIOSH) reviewed the epidemiological data and recommended that the annual radon progeny exposure limit for the mining industry be lowered. Is occupational exposure to radon comparable to residential exposure? Because questions have been raised about the appropriateness of using the epidemiological studies of underground miners as a basis for estimating the risk radon poses to the general population, the EPA commissioned the NAS to investigate the difference between underground miners and members of the general public in the doses they receive per unit-exposure due to inhaled radon progeny. The NAS report, published in 1991, concluded that it is reasonable to extrapolate from the miner data to a residential situation, but that the effective doses per unit of exposure for people in their homes are approximately 30% less than for the miners. In its analysis, the NAS considered variables such as the amount and types of dust to which the radon decay particles would attach, the breathing rates of working miners compared to that of people at home, and the presence of women and children in the homes. The EPA has adjusted its residential risk estimates accordingly. The result is still considerable -- it now estimates that approximately 14,000 lung cancer deaths in the United States annually are due to residential radon exposures. As more data are gathered about residential radon exposures, the risk estimates may be adjusted further. Enough statistical evidence exists now, however, to state with certainty that, each year in the United States, thousands of deaths due to preventable lung cancer are attributable to indoor residential exposure to radon. More information is needed to answer important questions about radon's effect on women and children -- two groups not included in the occupational studies. Although children have been reported to be at greater risk than adults for developing certain types of cancer from radiation, there is no current or conclusive evidence that radon exposure puts children at a greater risk. Some studies on miners and on animals indicate that, for the same total exposure, a lower exposure over a longer period is more hazardous than brief, high exposures. These findings increase concerns about residential radon exposures. Epidemiological control studies are underway in the U.S. and in Europe, the pooled results of which should enhance the understanding of the risk of residential exposure to radon. What about smoking and radon exposure? Some people ask whether the lung cancer deaths attributed to radon exposure actually may be the result of smoking. A 1989 study by researchers from NIOSH, the Centers for Disease Control, the Harvard School of Public Health, and the University of California at Davis demonstrated a greatly increased risk of lung cancer in non-smoking uranium miners exposed to high radon concentrations. Compared to typical non-smoking populations, these miners had nine to 12 times the risk of developing lung cancer. Evidence from some of the epidemiological studies of American underground uranium miners indicates that radon exposure and smoking may have a synergistic relationship. Either smoking or radon exposure can independently increase the risk of lung cancer; however, exposure to both greatly enhances that risk. � whether you are a smoker, or have ever smoked. 250 times the risk of drowning. dying in a home fire.